Fred Hagstrom was named the 2014 Minnesota Book Artist Award winner for his new piece entitled “Passage.” His work will be displayed in the second floor literary commons of the Open Book, January 24 through March 30, with an opening reception on Friday, January 24, at 5:30 p.m. The Minnesota Book Awards is pleased to announce Fred Hagstrom as the winner of the 2014 Minnesota Book Artist Award sponsored by Lerner Publishing Group. This annual award, presented by Minnesota Center for Book Arts (MCBA) and the Minnesota Book Awards, recognizes a Minnesota book artist or book artist collaborative group for excellence of a new artistic work, demonstrated proficiency and quality in the book arts through three pieces of supporting previous work, as well as an ongoing commitment and significant contributions to Minnesota’s book arts community. The award was previously presented to Jana Pullman (2013), Cave Paper’s Bridget O’Malley and Amanda Degener (2012), Regula Russelle (2011), Wilber H. “Chip” Schilling (2010), Paulette Myers-Rich (2009), and Jody Williams (2008). A distinguished professor of art at Carleton College since 1984, Fred Hagstrom came to the book arts through a long background in printmaking. His recent work focuses on historical subjects, juxtaposing archival photographs with carefully chosen text to produce work both visually rich and emotionally provocative. His award-winning piece, Passage, examines the historic tragedy of the slave trade using archival photographs of former slaves combined with hand-drawn diagrams depicting the inhumane conditions aboard slave ships. These images are paired with selected texts from two historical books that were important for building opposition to the slave trade: An Essay on the Impolicy of the African Slave Trade by Thomas Clarkson, 1788, and Biographical Sketches and Interesting Anecdotes of Person of Color by A.Mott, 1837. An exhibit celebrating Hagstrom’s work runs January 24 through March 30 in the second floor literary commons of the Open Book building, 1011 Washington Avenue South in Minneapolis. A reception showcasing the exhibit and honoring Hagstrom takes place Friday, January 24 from 5:30 to 7:30 p.m. at Open Book, with a brief program and presentation at 6:30 p.m. The reception is free and open to the public, and features live music, hors d’oeuvres, and wine. Exhibits of Hagstrom’s work will also be featured at other venues throughout the state this year, including Saint Paul’s Central Library this spring. Hagstrom will receive special recognition and an award at the 26th annual Minnesota Book Awards Gala on Saturday, April 5, 2014 at Saint Paul’s Union Depot. Awards will be presented that evening to the winners of eight book categories (Children’s Literature, General Nonfiction, Genre Fiction, Memoir & Creative Nonfiction, Minnesota, Novel & Short Story, Poetry, and Young People’s Literature), the Kay Sexton Award, sponsored by Common Good Books, and the biennial Hognander Minnesota History Award. Gala tickets will go on sale in late January. 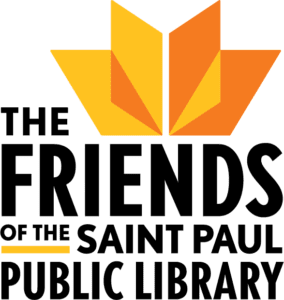 The Minnesota Book Awards, presented by 3M Library Systems, is a statewide, year-round outreach program of The Friends of the Saint Paul Public Library in partnership with the Saint Paul Public Library and City of Saint Paul. Explore this website or call 651-366-6497 for more information about the Minnesota Book Awards. Visit www.mnbookarts.org or call 612-215-2527 for more information about Minnesota Center for Book Arts. The Minnesota Book Awards (MNBA) was created in 1988 by The Friends of the Saint Paul Public Library and other organizations as a part of the Festival of the Book. Awards are presented each year to books in eight categories by Minnesota writers or illustrators, as well as the Kay Sexton Award, Book Artist Award, and the biennial Hognander Minnesota History Award. Through its work with MNBA, The Friends was designated the Minnesota Center for the Book, a state affiliate of the Center for the Book in the Library of Congress. To find out more about MNBA and the Center for the Book, please visit www.thefriends.org/mnbookawards.